I'm a bad blogger once again, I've been ridiculously busy with my job and other commitments and I couldn't get to the post office to collect this Parcel and by the time I did it was well past Halloween and I apologise for that. However even though it is late and this box is long gone it will give you a good idea of how my Geek Box works and how good it is! 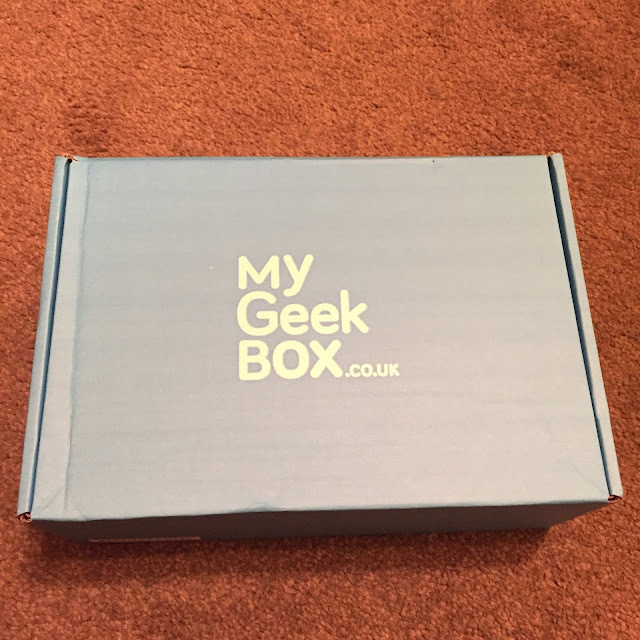 My Geek Box are a subscription service who each month send out a mystery box filled to the brim with geeky goods, including a limited edition t-shirt! Each month have a different theme, the theme for October was Afterlife which I was fairly excited by. I hated myself for being at work while the parcel was delivered and then it took me forever to collect it as working 9-5 is the worst, however I couldn't wait to rip it open. I was so excited I forgot to take photos until I was flicking through Twisted Dark! So what did I get? 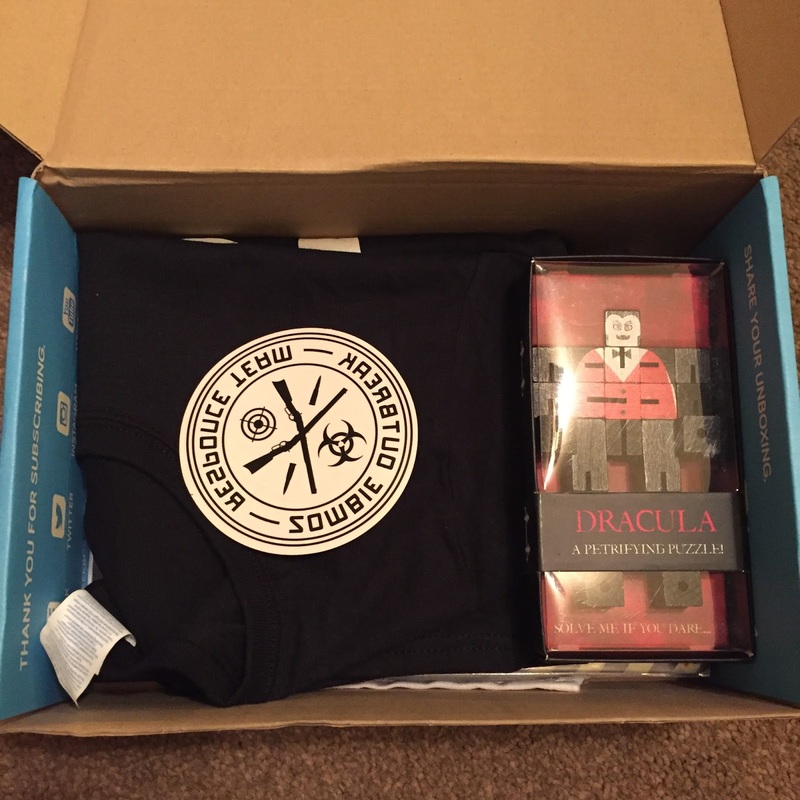 A Boo T-shirt, A Zombie Outbreak Response Sticker, Dracula cube puzzle, Zombie outbreak sign, a bloody tea towel? and Twisted Dark graphic novel. 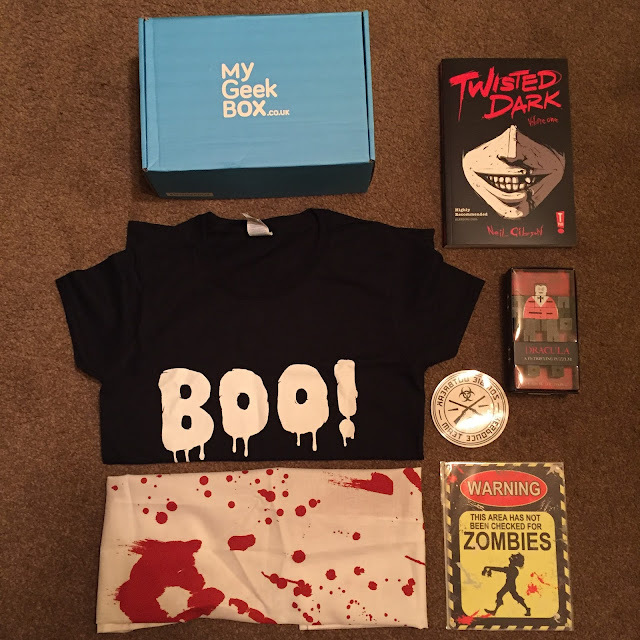 For the price of the box I was shocked at how amazing the contents were, a full sized graphic novel is amazing! I was really happy with this item, I'm forever trying to find new things to read so I can't wait to get through this one! The shirt is really good quality, I really think it's cute too. Although the sticker appears to be for a car I'll probably stick it on a window as it's too good to give up, The puzzle had us sat for ages trying to figure out how to make it into a cube, eventually we gave up and looked at the intrsuctions which still didn't help! Haha, my sister eventually figured it out though some how. The sign and the towel will make great Halloween decorations I'm sure, although it was tempting to put the sign up in my hallway all year round haha. Overall I loved this box, and definitely think it's worth subscribing to, I'm most likely going to sign up once pay day comes! What are your views would you try it? I kinda need this box!